In a DISH vs cable battle, which TV service is victorious? DISH of course, but the real winners are those who choose the superiority of a DISH installation! It doesn’t matter if it’s DISH vs Comcast, DISH vs Spectrum, or DISH against any other cable provider. 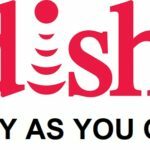 In the areas of equipment, programming, and pricing – the “big three” for any TV service provider – DISH is far superior to cable. You’ll also enjoy better customer support when you choose a DISH package from Signal Connect. We’ll make sure you get the best programming and pricing, and we’ll continue to provide service to your account. With Signal Connect on your side, you’ll be able to enjoy all the benefits that come with having a DISH account. When it comes to receivers and other equipment, cable TV is not your friend. 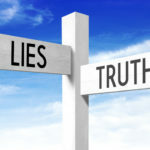 Cable’s “dirty little secret” is that its hardware tends to get recycled over and over. This means you could end up with a 10-year old receiver while your neighbor gets the latest model. Also, most cable companies have very high receiver rental fees. (Sometimes as much as three times what DISH charges.) With DISH, you get the latest and greatest receivers – the Hopper or the Wally – right from the start. There’s no reason not to have the best when you enjoy your favorite programming. When it comes down to it, choosing a TV provider is all about channels. Everyone wants to get a variety of news, sports, weather, and entertainment programming at the best possible price. Simply put, DISH’s programming packages are far superior to anything that cable TV has to offer. On the introductory level, DISH’s Welcome Pack offers more than 40 channels for a low monthly rate. The satellite TV provider has other packages that offer 50+, 190+, and 330+ channels. Whatever your favorite programming is, DISH has the package that suits your TV viewing needs. DISH’s Latino channels are an amazing benefit for anyone who enjoys Spanish-language TV programming. Look, if you live in a large media market such as New York City or Los Angeles, you’ll get decent amount of this programming. If you live in a smaller TV market, the local cable TV company might not offer as much programming diversity. The DISH Latino Básico package offers more than 50 Spanish-language channels. 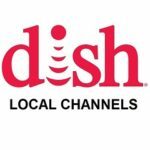 DISH has three other packages with 180+, 190+, and 225+ Latino channels, respectively. No cable TV company can compare to DISH’s Latino programming. When it comes to customer support services, most cable companies are an epic fail. For example, Comcast routinely gets rated as having some of the worst customer service of any company in the country! When you choose a DISH package through Signal Connect, you’ll get the best customer support. We’ll set you up with the ideal DISH TV package and price, and we’ll connect you with a DISH installation from our network of qualified, professional installers. Your Signal Connect rep will also quickly activate your DISH account and continue to provide customer service as long as you have DISH. And the best part of getting your account through Signal Connect is that we are available to help you if DISH is unresponsive or has long hold times. We often have ways to bypass the system to gets things done, or can offer technical support and advice at any time! By now, it should be obvious that a DISH account is far superior to cable TV. 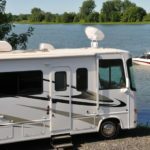 Maybe it’s time to reach out to Signal Connect and let us be your DISH Authorized Dealer. We’ll get you everything you want and need to enjoy DISH in stunning high-definition (HD) resolution. This is also superior to the picture quality you’re get from cable. If you’re ready to enjoy everything that DISH has to offer, give us a call at 866-726-4182. One of our helpful representatives will be happy to make your DISH installation a reality. This entry was posted in DISH and tagged Channel Lineup, Channels, customer service, dish, Equipment. Bookmark the permalink.